Northlands Wood Practice is currently welcoming prospective new patients. To register at our Practice you must live within our practice catchment area. To check if you are in our catchment area please view our Practice Area map below or call us on 01444 458022 after 11am to check. To register you can complete the forms below and bring the completed forms into the practice, along with any family members that are also joining us. 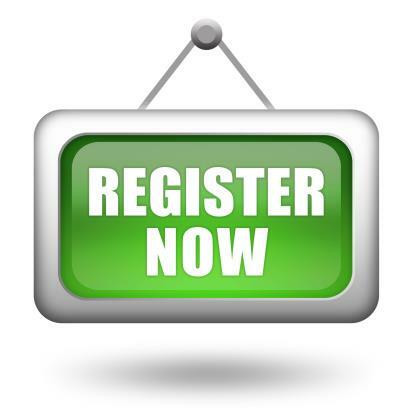 Each adult or child registering must have completed a GMS1 form and our New Patient Registration Form. If you have proof of identity and residency in the area this will also be useful. You will also be asked to provide 3 x blood pressure readings. It would be useful to us if you have your NHS numbers with you; these can be obtained from any recent medical letters or prescriptions or by contacting your previous surgery. You will also be given an information pack about the surgery, the services we provide and other useful information, to take home. Or you can download the practice Information Booklet HERE. Patients who register with the practice will be assigned their own Named GP. If a particular doctor has been recommended to you, you should state this preference at the time of registering and every effort will be made for you to be treated by this doctor. This will be dependent on your request being appropriate, reasonable and that the doctor requested is available. It is at the discretion of each doctor to accept you onto his or her list but such discretion cannot be discriminatory on the grounds of disability or medical condition, age, appearance, race, gender, social class, religion or sexual orientation. Under the Named GP scheme, this doctor will be in charge of your care, however you retain the right at any time to see another doctor or change your named GP. Conversely, we may be required to offer you an appointment with a different doctor should your named GP be unavailable at the requested time. If you were refused inclusion on our list, you would be notified within 14 days of the reason for this decision and given information on how to find another practice. With effect from 16th October 2018, our practice boundary/catchment area has changed. To view our practice boundary map please click the link below. Our revised boundary excludes the surrounding villages of Scaynes Hill and Wivelsfield Green as well as some areas of Lindfield, Burgess Hill and the western side of Haywards Heath. Please be aware that this does not affect existing patients who will remain on our practice list. However, any existing patients who change their address to an area no longer within our catchment area will be required to register with another practice. If you wish to confirm whether you are in our catchment area, please call reception on 01444 458022. CLICK HERE to view our Practice Boundary. The Practice possesses two disabled car parking spots to the rear of the building, ramped access to the entrance and a functioning lift. In addition to this, there is ample room in the waiting and clinical areas as well as disabled WCs on both floors. The Practice's reception desk is fitted with a conduction loop compatible with standard hearing aids.